Patra's Other Place: My sketching skills have improved somewhat! I spent today at a one day workshop with artist Janet Matthews. 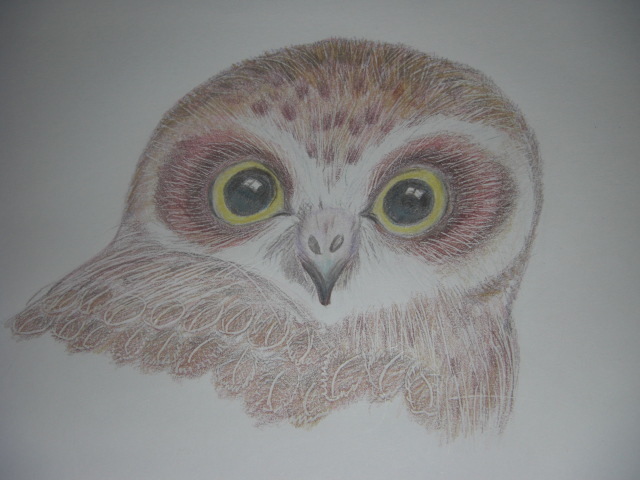 Ten of us learnt how to draw a Boobook Owl using coloured pencils (not watercolour pencils). It was a lovely day; as well as being a very good tutor, Janet is very friendly and easy-going, so it was a pleasure to learn her techniques. 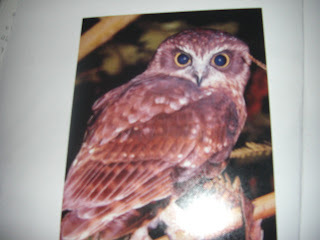 She provided this photo of the owl for us to work with, and instructed us to only draw the head, as that is all we would have time for. She was right! Gina, you did a wonderful job with the owl ... looks beautiful. Trying again. It's beautiful. Very impressive.